Shelf Life 5 months (must keep tightly closed) Other (glues) work differently to our new generation range of adhesives properties, their Application is by coating the lash in glue and then by stroking or basting over the natural lashes 2-3 times before attachment. With traditional glues, you will see the glue on the lash extension, (even after excess has been removed) and then by basting the natural lash this creates a buildup of glue for the lash Extension to be attached. It is held in place through coating. Over time moisture and debris dirt and oils, causes a hardening of adhesive and thickening. The natural Lashes become brittle and lash damage occurs. Draw the lash extension base through the adhesive – adhesive should be barely visible, if there is a bead at the base removes this excess. Press the base of the lash extension to the natural isolated lash and lay down. You will see the natural lash almost grab the lash extension like a magnet. Depending on the environment if cool you may need to swipe the natural lash once – press the base extension to the natural lash – release. Application will result in a soft full set of volume lashes with all adhesive ranges and will provide an undetectable bond throughout and until replacement or removal. 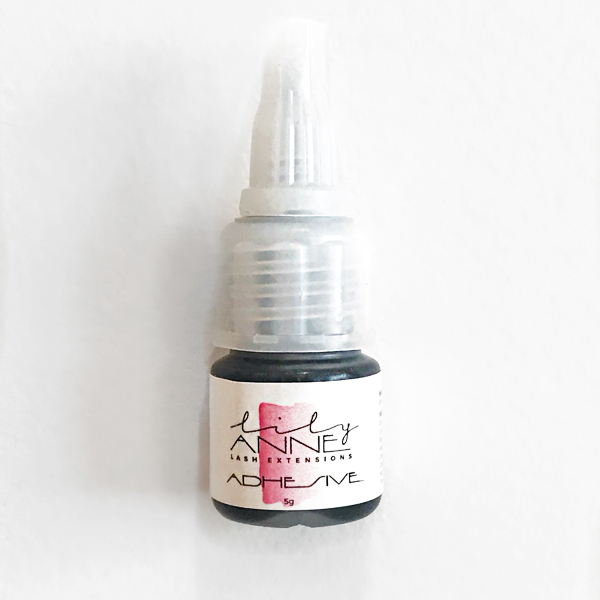 Due to the fine quality of adhesive, the application for lashes is almost weightless and will not twist or prevent lash growth from the root growing in different directions, therefore less damage will occur. (However, if lashes are applied incorrectly or few lashes are applied this could cause twisting) New Generation lash adhesives will also prevent lash follicle blockage, which occurs from traditional hardened lash glues. Also irritation is generally caused through traditional “Glues” which causes eye rubbing and premature natural lash shedding. You should also be aware of what you are using prior to lash attachments Check ♦ Primer usage – How much is used? Primer is an irritant to skin and should not touch the delicate eye lid area ♦ Lash Cleaner – How much is being used? Does it leave a residue so that when you adhere the lash attachment, polymerization occurs preventing a tight seal It is essential to ensure that all lashes are fully cleaned and that no moisture should remain. Blot the lashes dry with a soft tissue to absorb any remaining moisture prior to lash application. Moisture remaining will polymerize the adhesive before attachment can be made. CONTAINER Recommended plastic mixing Dampen dish for regular temperatures Recommended glass Dampen dish for extremely hot weather. HUMIDITY FACTOR Below 40% – This will result in slow curing and may result in a poor application due to setting level. Above 70% – This will create a shock reaction and could result in adhesive becoming brittle, which means that durability is lessened. Best results the humidity level should be between 55%-60%, if you live in a high humid area, we suggest having a dehumidifier in your lashing room.